In 1910, Sofronova entered the Moscow School of Art under the direction of F.Rerberg. In 1913 changed the School for I .Mashkov’s studio. After 1914, she participated in the “Jack of Diamonds”, “World of Art” and “Moscow Association of Artists” exhibitions. In 1920, Sofronova was employed as a teacher at the State Free Art Studios in Tver, at the same time as Mikhail Sokolov teaching stint there. 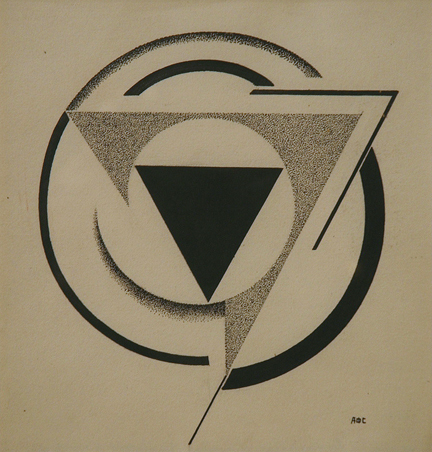 Her passion for constructivism characterized Sofronova’s work of that period. The artists from group “13” were very close to Sofronova’s work, so she was invited to participate in their 3rd exhibition in1931. The stellar works of the artists of the exhibition in no way complied with the nascent art of the totalitarian state, socialist realism. The critics were relentless: her works were branded “formalistic”. For many years, Sofronova was not able to exhibit her works and worked only for her own satisfaction. Despite this she did not abandon her principles.